Benco Dental Territory Rep Lenny Lenz isn’t only a talented salesman, he’s also a gifted craftsman – of giant toothbrushes (shown)! It was stiff competition at Booth #1734 for the “Show Us Your Smile” contest during the Greater NewYork Dental Meeting November 28-December 3. 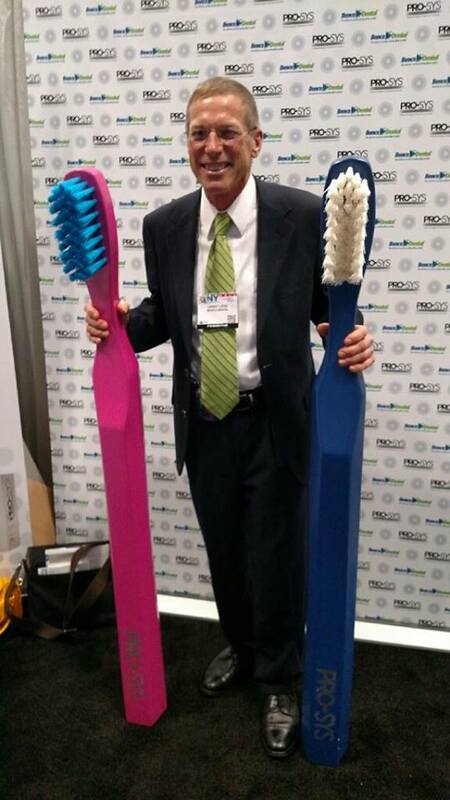 Larger than life PRO-SYS® toothbrushes were at the ready to (literally) support the grinning groupies who gathered for their photo ops. Four days remain to enter for a chance to win $500 worth of PRO-SYS® professionally designed, professionally recommended oral care products. 1. Take a selfie (double entry if you have a PRO-SYS® product in the photo). If you have your heart set on a giant toothbrush photo, be sure to visit booth #3533 at the Chicago Dental Society’s Midwinter Meeting for another opportunity. 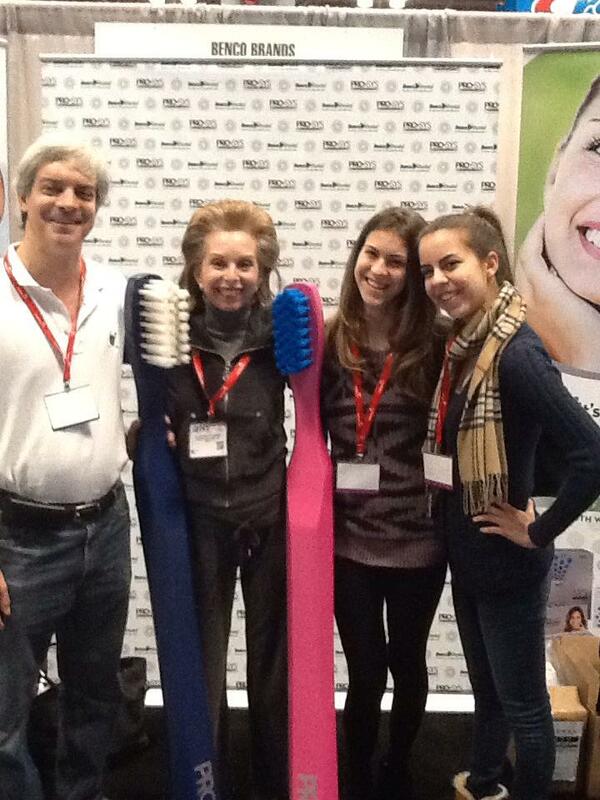 Team from Donate A Toothbrush visits the PRO-SYS® booth at the GNYDM. For every toothbrush sold, PRO-SYS® donates one. Benefitting groups include Head Start, Health Volunteers Overseas and Donate A Toothbrush, which partners with World Dental Relief to provide brushes to 400 dental missions worldwide. Do dental patients need to be nurtured?